Sunny, with a high near 73. North northwest wind 5 to 10 mph. Clear, with a low around 45. West wind 5 to 10 mph becoming south southeast in the evening. On Thursday, April 18th, students from Olton Junior High were inducted into the National Junior Honors Society. These students were nominated by their teachers and meet the standards of the 5 pillars of NJHS. These pillars are Service, Character, Scholarship, Leadership, and Citizenship. Students were presented with a pin and a certificate that represents the number of years they have been members of NJHS. Congratulations to these students and may you continue to grow in excellence as you continue through Olton ISD. Final Call for Yearbook Orders. Last chance to order your copy of The Stampede is NOW. 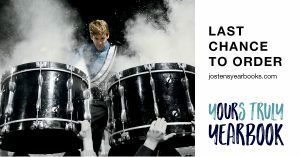 Current cost is $50 for the remainder of the school year and they can be ordered online at jostensyearbooks.com or from Mrs Brightbill in room 7 at the High School. One Act Play presents an Amazing Show. On Friday, April 5th, the OHS One Act Play cast and crew presented their Award-winning performance of Dark Road. The play tells the story of a female Nazi guard, played by Sophomore Karagan Lynn, as she is describing events within the German Concentration Camp of Ravensbruck. She tells her story to a reporter played by Junior Bonham Smith. As we see images from the past and how one is turned from good to evil, from caring about human life to seeing those within the camp as less than human. The entire cast and crew should be commended for this powerful performance. Director Erin Flores has once again done a superb job with the students involved. Dark Road earned many honors including advancing to the bi-district competition, all-star cast members and honorable mention all-star cast members at both district and bi-district. Congratulations OAP, we cannot wait to see what you have in store for us next year. * Olton I.S.D. prohibits discrimination, including harassment, against any employee on the basis of race, color, religion, gender, national origin, age, disability, or any other basis prohibited by law. Retaliation against anyone involved in the complaint process is a violation of District policy.